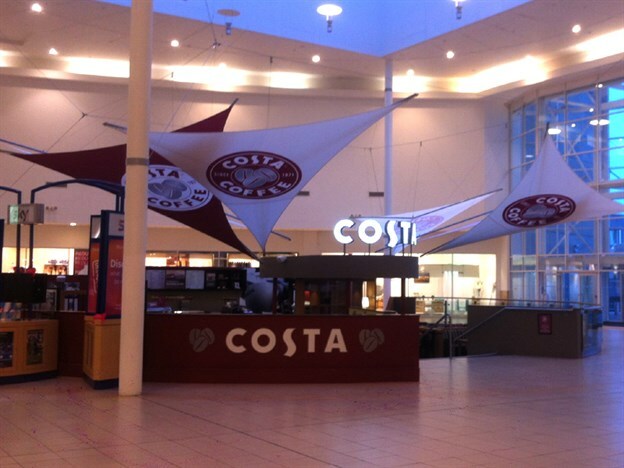 TensileFabric worked on a scheme for Costa Coffee within the Antonine Shopping Centre in Cumbernauld. 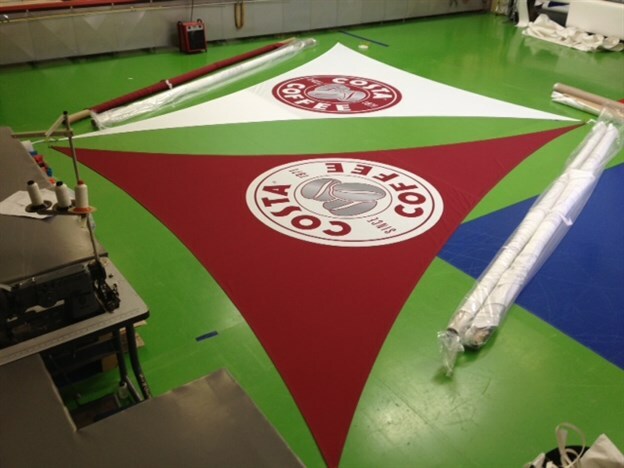 Our brief was to create an eye-catching structure to draw customers in, and the sail arrangement we designed does just that. 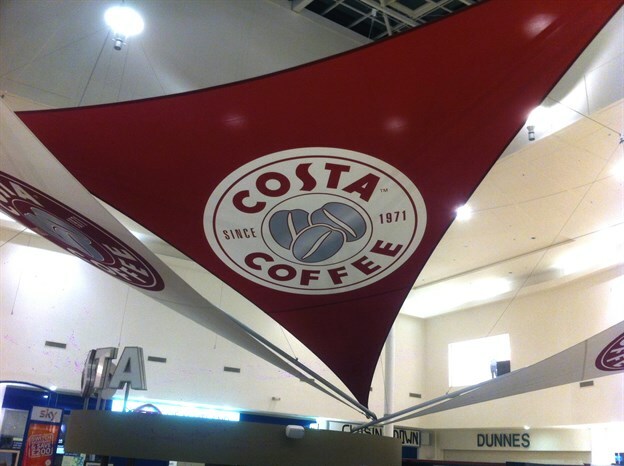 The six kite-like sails were branded with Costa's coffee bean logo to make a fantastic alternative to a traditional shop sign. 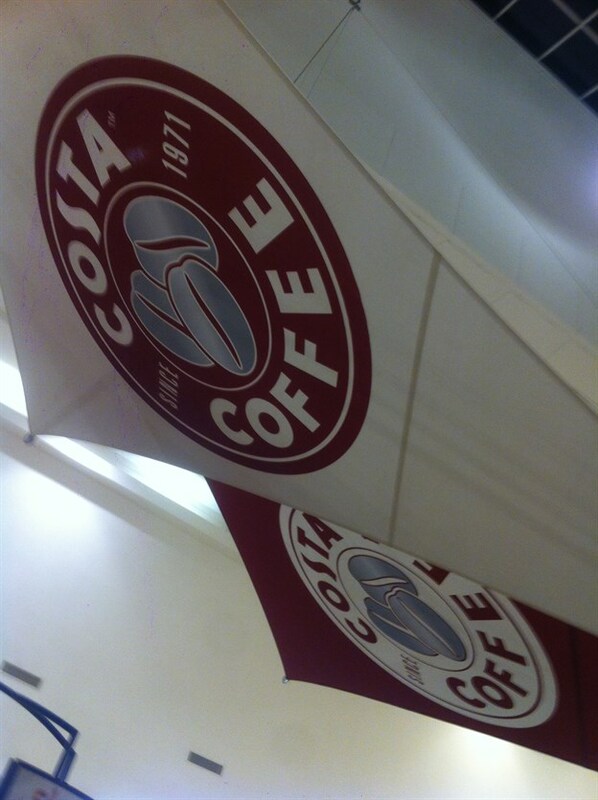 The sails were arranged over a sunken area within the centre to lower the perceived ceiling height, as well as making the area cosy and welcoming for customers. 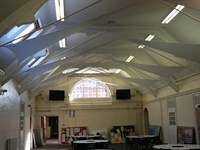 The installation was carried out over three nights, working from mobile access equipment.